HARRINGTON – After investigating an illegal dumping complaint made to DNREC’s Division of Community Affairs, Natural Resources Police officers with the Environmental Crimes Unit arrested a Harrington man Sept. 5 in connection with the incident in southern Kent County. 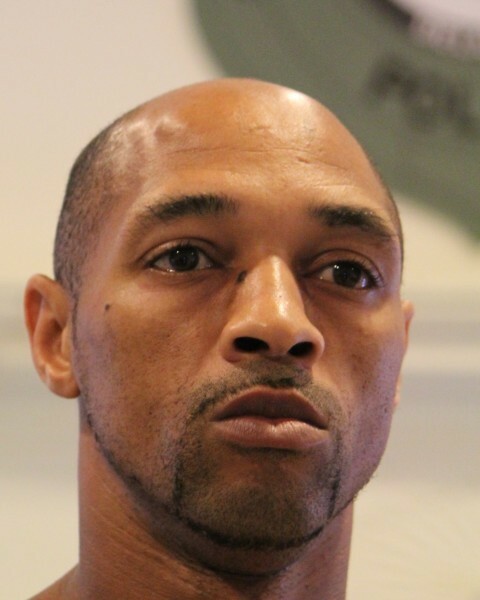 Rahmeen Floyd, 38, was charged with three counts of causing or contributing to the discharge of solid waste materials. He was arraigned at Justice of the Peace Court 6 in Harrington, and released. Each charge carries a minimum fine of $500 and a maximum fine of $1,500 for first offense. Residents are encouraged to report illegal trash dumping to DNREC’s Natural Resources Police Environmental Crimes Unit by calling the 24-hour environmental complaints line at 800-662-8802. NEWARK – Following an investigation into a recent complaint made at the state-maintained Polly Drummond Hill Road yard waste site in Newark, Delaware Natural Resources Police with DNREC’s Environmental Crimes Unit arrested a Newark man Aug. 15 for illegal dumping of refuse. Jonathan D. Kirk, 37, was charged with one count of cause or contributing to the disposal or discharge of solid waste materials. The charge carries a minimum fine of $500. Kirk was arraigned at Justice of the Peace Court 11 in New Castle, where he pleaded guilty. The Polly Drummond Hill Road yard waste site allows Delaware residents to drop off yard waste at the site from their own residence during scheduled hours. Commercial businesses are barred from dropping off yard waste at the site. Yard waste consists of plant materials from lawn maintenance and landscaping activities such as grass clippings, leaves, brush, shrubs, garden materials, Christmas trees and tree limbs up to four inches in diameter. It is against the law to dump lumber and fencing at the site. Residents are encouraged to report illegal trash dumping to DNREC’s Delaware Natural Resources Police Environmental Crimes Unit by calling the toll-free 24-hour environmental complaints hotline at 800-662-8802. WILMINGTON – Following an investigation into complaints of illegal dumping in the area, Natural Resources Police Officers with DNREC’s Environmental Crimes Unit arrested a New Castle woman May 31 for illegal dumping of AA batteries at the intersection of Concord Pike and Powder Mill Road in Wilmington. Kristen V. Hayward, 37, was charged with three counts of littering. Hayward was arraigned at Justice of the Peace Court 11 in New Castle, and ordered to pay restitution to the Delaware Department of Transportation for cleanup. 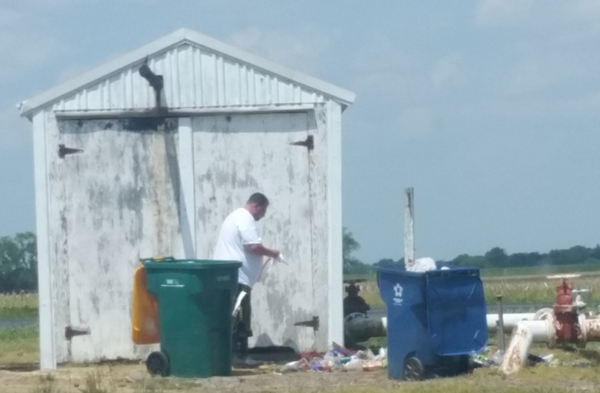 MILLSBORO – Following an investigation into complaints of illegal dumping in the area, Natural Resources Police Officers with DNREC’s Environmental Crimes Unit arrested a Millsboro man May 25 for illegal dumping of refuse and yard waste debris. 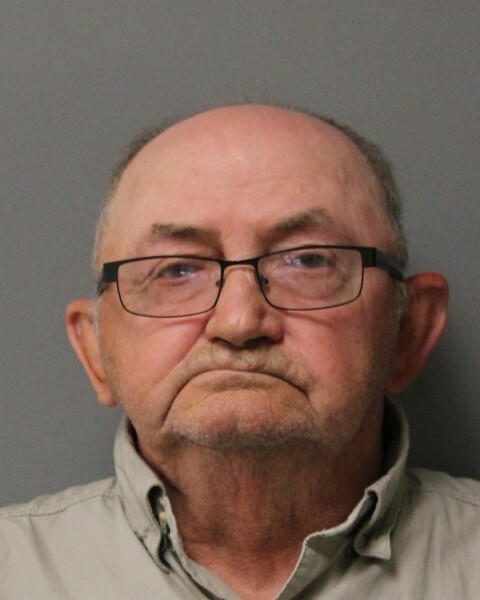 Robert W. Gordy Sr., 70, was charged with two counts of using a motor vehicle during, or in the aid of the disposal or discharge of solid waste materials. The charges carry a minimum fine of $500 each. Gordy was arraigned at Justice of the Peace Court 3 in Georgetown and released on $200 unsecured bail. MAGNOLIA – Acting on a tip made to DNREC’s Environmental Complaint hotline, Natural Resources Police Environmental Crimes Unit arrested two Kent County men May 11 and charged both of them with illegal dumping in Magnolia. Michael B. Warncke, 41, of Magnolia, was charged with disposal or discharge of solid waste materials and fined $500. He was issued a citation and ordered by the Environmental Crimes Unit to pick up the dumped trash that led to his arrest. Dustin T. Hicks, 21, also of Magnolia, was charged with using a motor vehicle to help dispose of or discharge of solid waste, operation of an unregistered motor vehicle, failure to have insurance on an out-of-state vehicle, conspiracy third degree, and criminal trespass third degree. He was arraigned at Justice of the Peace Court 7 in Dover and released on $500 unsecured bail. Michael B. Warncke of Magnolia was ordered by DNREC’s Environmental Crimes Unit to clean up trash that led to his arrest for illegal dumping. Illegal trash dumping can be reported to DNREC’s Natural Resources Police Environmental Crimes Unit by calling the toll-free 24-hour environmental complaint hotline at 800-662-8802.